Join us for a conversation with GCS CFO Angie Henry about the superintendent’s recommended budget for next school year. Between now and June 20th, critical decisions will be made about local funding for our schools. Getting informed positions you to be a more productive contributor to the public conversation. You bring the questions and conversation! We’ll gather at the GEA office located at 311 Pomona Drive in Greensboro. Click here to register. We’ll provide a light breakfast – you provide the good conversation! Interested in getting more information about the rest of GEA’s events? 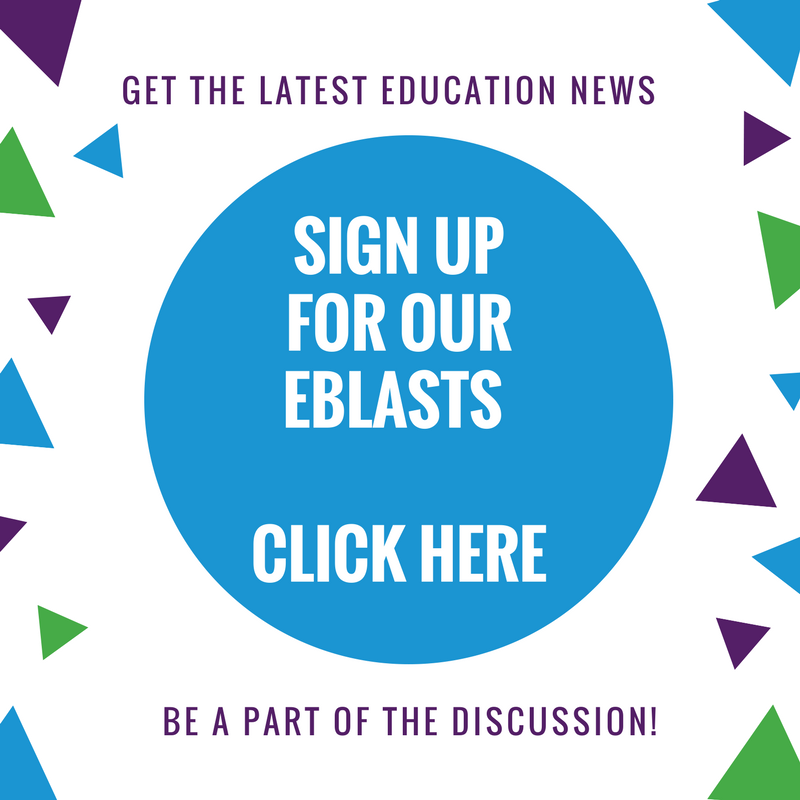 Sign up here to receive our e-blasts. Keith Poston, from the Public School Forum of NC joined us to talk about the Forum’s top 10 education issues in 2019. GEA welcomed Guilford County Schools’ Director of Math, K-12 and Assistant Superintendent of Teaching, Learning, and Professional Development to talk about the “why” behind the math curriculum we use – why it matters in our schools and for our students and why it matters as students continue to higher education and the world of work. GEA welcomed Dr. Kathleen Dawson (chief officer of innovation), Scott McCully (chief officer of operations) and Brian Schultz (chief officer of academics) to discuss the challenges and opportunities that GCS faces now and in the future. GEA staff offered an depth look at budget and legislative issues and looked at strategic ways we can work together on behalf of our schools, teachers and students. Dr. Contreras, GCS superintendent, and Dr. Henry, GCS chief financial officer, walked over 90 community members through the 2018- 2019 proposed school budget, providing detailed insight into this complicated but crucial topic. When you know how to read, it seems as natural as breathing. Many assume that we learn to read like we learn to speak – if we are just exposed to it, we learn the fundamentals. But research tells us that isn’t true. There truly is a science to learning to read. During this seession, we unpacked how GCS’ comprehensive approach and teacher support are designed to move students towards proficiency. September 27, Schools & Our Economy: What’s the Real Return on Investment? We had a record number of community members come to hear Dr. Sharon Contreras, superintendent of Guilford County Schools shared her insights and data about the ROI when we make public education a priority. Research undeniably shows that healthy communities must invest in their schools to thrive. October 24, Barriers to Learning: What’s the Truth? Elizabeth DeKonty from the Public School Forum of NC helped us explore the myths and realities of learning barriers. Research shows that 6 out of 10 students in a classroom have experienced some type of trauma that can dramatically hinder brain development and learning. November 17, The Teacher Pipeline with Dr. Anthony Graham, Dean, School of Education, NC A&T. The # 1 issue facing our school system now is teacher and principal recruitment and retention. Dr. Graham highlighted troubling trends in teacher retention and unpacked compelling data on how race affects teaching. He also shed light on how we prepare, recruit and keep talent in our schools in the current environment. December 9, Principal for a Day — 150 guests spent the morning shadowing GCS principals to see how some of our community’s most dynamic leaders juggle a dizzying array of challenges and decisions. All gathered for lunch a presentation with Dr. Angel Harris of Duke University. Harris challenged the group to look beyond what is probably and on to what is possible when it comes to understanding the dynamics of race and socio-eonomics on student outcomes. January 10, Race & Equity: A Groundwater Approach Serious work in public education requires direct and informed discussions about race and equity. Despite the snow and ice we had a very engaged group show up to hear Dr. Bay Love shine a light on the hard truth the data illuminates about race across systems. January 30, 2017 Dinner, Data, History & Discussion The training and presentations on race, equity and education provide a wealth of information and often not enough time for discussion. This dinner session is designed for those who have already participated in a race training or one of our previous sessions (with James Ford, Anthony Graham, Angel Harris or Bay Love). Monica Walker, GCS Diversity Officer and Dr. Bay Love will be with us, but we won’t be starting from the beginning. February 17 – 18, 2017 — Structural Racism Workshop Community, business and parent leaders participated in a two-day workshop at GEA led by Monica Walker, GCS Chief Diversity Officer, Dr. Eric Hines, GCS Director of Diversity and Inclusion and Dr. Bay Love of the Race Equity Institute. Facilitators walked participants through history, data and discussion to explore and unpack what structural racism is, where it comes from, how it functions, why it persists and how it can be undone. The workshop strategically examined how the accumulated impact of racism has resulted in pervasive disproportionality and disparate outcomes for children of color in the educational system. March 9th, 2017, Funding Flows & Flaws. Where does the $700M invested in our schools come from each year? How do we spend it? What are the restrictions and mandates that flow with the dollars? Where do we have flexibility? Are there other dollars that align with the school budget? Kara Millonzi of the UNC School of Government, an economist and attorney, broke things down and shed light on some nuances. April 5, Inside our Schools — GEA’s Education Summit. Small groups fanned out across the district on one morning to visit GCS schools. Guests enjoyed breakfast and discussion with principals and teachers around a common theme, and then had an opportunity to see the unique assets and challenges in that school. The new format was unveiled in spring of 2016 and was met with incredibly positive reviews.